Rabbits NEED space, and lots of it! 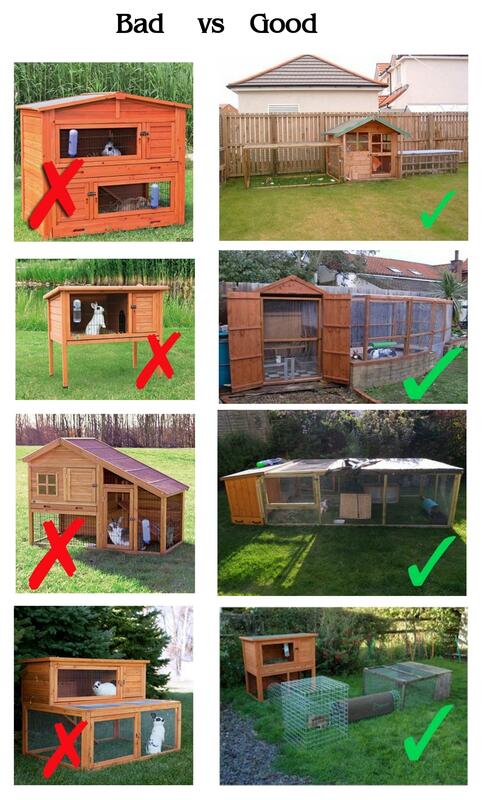 Hutches and cages commonly sold in Pet Shops and other pet supply outlets are too small for Rabbit Welfare needs! Yet businesses have been noted to sell hutches as small as 2-3ft! …..WHY? Simple, there is NO Legislation in place to prevent the sale of these items and no follow up on how they are used by numerous owners. Meanwhile Rabbits in the farm or laboratory sector DO actually have welfare guidelines in regards to housing and other issues. How can it possibly be right that in this day and age, our most neglected companion pets have no real legislative protection against what is often – unintentional – cruelty and we are freely able to house them in such small items with no real protection? Of course, hutches and cages can have their uses; but those uses should only be limited to an area of shelter within a larger, safe secure set-up and not used as a permanent home, or what is in reality, a small cramped prison. RWAF, PDSA and numerous other welfare groups ALL recommend a 6ft minimum hutch length with a secure attached run of at least 8/10ft to enable TWO rabbits to live comfortably. Using cages or hutches as a main, or only living space is CRUEL; Even the eye catching ‘larger double tiered’ hutches and cages offer no real living space for Rabbits. Rabbits are by nature highly active, inquisitive, clean animals & are most active in the mornings & evenings. They can’t perform natural behaviours locked in a prison cell. Rabbits will happily live free range indoors but be sure to ‘bunny proof’ all cables and other ‘valuable’ items. If you can’t offer this, give them their own room or a portion of, with a large penned area for times when they can not be supervised whilst exercising. Cages commonly sold as suitable for house rabbits range from less than 0.75 up to 1.5m, again with little regard to the overall welfare needs of these animals! 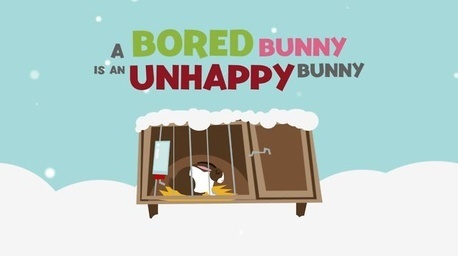 Advice commonly given by pet shops or other areas such as breeders, when acquiring rabbits, is to allow rabbits out of their ‘prisons’ for a few hours exercise a day, this is NOT enough! Additionally, this advice directly contradicts the welfare needs and behaviours of rabbits; remember, they are crepuscular, which means they are most active in the evenings and mornings, so the time you allocate to allow them exercise may not be compatible with the times that Rabbits want to exercise!. If they are housed outdoors then poor weather will often deter the owner from allowing this basic right, additionally indoor rabbits can also be forgotten regular exercise as every day life can soon take up the free time well meaning owners may have put aside to allow for exercise. Rabbits, whether they live indoors or out, should ALWAYS have freedom to move around, then THEY can choose when they want to exercise or not, so the more living space you can offer the better. Please allow Rabbits to be Rabbits and give them the space to live happily and comfortably. Please take a few moments to watch this info-video featuring Rabbit expert, Dr Anne McBride PhD as she talks us through the reasons why a hutch (or cage) is not enough!